Marine Bagpipe Tunes: Please see the Naval Academy Pipes and Drums repertoire web page. For a history of bagpiping in the USMC, see the Leatherneck Pipes and Drums history web page and the Marine Corps Pipers article at Military.com. The Leatherneck Tartan is woven by Strathmore Woollens in 11.5 and 13oz/yard weight and woven by D. C. Dalgliesh in 11 and 15 oz/yard weight. 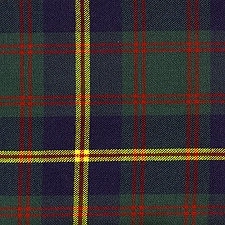 The U.S. Marine Corps has not yet formally adopted this tartan.